Have you found yourself frustrated with life? Have you fallen short of achieving your goals? Have duties and obligations overwhelmed and consumed you, forcing you to change your goals? Have you felt sidetracked and unable to focus your efforts due to the immense pressure and difficulty involved with achieving anything that's worthwhile? Did you answer yes to any of those questions? If you did, then The Science of Success is for you. 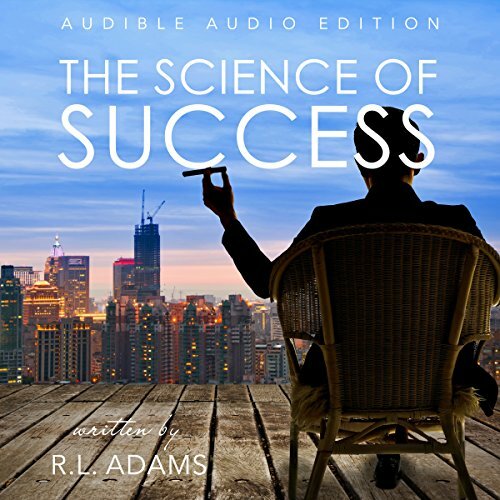 In this inspiring and motivating book, you'll learn how to harness a powerful, systematic approach to achieving your goals. This powerful and proven system will help you visualize and determine what you want in life with clear precision and develop a plan toward its achievement. It's okay to have big goals in life as long as those goals are backed up with the right plan toward their achievement. Many of us have goals, or we think we do. The problem? Most of us tend to set goals that are abstract or in our minds. We don't always create clear goals that have detailed plans for their attainment. But did you know just how powerful setting clear and precise goals with detailed plans could be?